Monty has had an insatiable interest in music since his very early teens. Growing up, radios and record players were always switched on in his family home. He still wakes up to music every day and it stays on late into the night on most occasions. 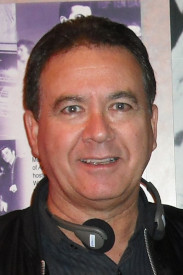 Monty first became involved as an announcer on Adelaide community radio in 2012, hosting overnight programs to begin with, then progressing to daytime programs, including Breakfast, Midday and Drive time slots. He loves 50’s to 70’s music, with the 60’s being his stand out decade. When not spinning records, Monty runs his own management consultancy business, specialising in sales and marketing. He is a Fellow of the Australian Institute of Management and a Fellow of the Australian Marketing Institute. Join Monty each Monday to Friday for 2 hours of classic 60’s music that will bring your memories flooding back.